You might be brand new to fundraising, you might have a couple years experience under your belt, or you might be a pro, with over 7 years of experience in your chosen area of fundraising. Because I wanted to help you answer these questions, I created the Fundraising Career Conference. Now in its third year, here’s what we’ve learned. 1. You have control – over some things. Your job might threaten to take over your life, but guess what? That way lies sickness, sadness and burnout. Last night you took an L but tonight you bounce back. How can you stop your job from taking over your life? Boundaries my friend. Boundaries. So don’t let your crazy-making work schedule neutralize your work for a better world! If you have too much work, you tell your boss and ask which tasks to drop. If some of these are problem areas for you, watch this interview with Sheena Greer – a previous Fundraising Career Conference presenter – about boundaries. 2. You can be a manager – but probably not here. According to the Underdeveloped report, most nonprofit staff are NOT being groomed for leadership. That’s such a bummer, because you would be a good leader, if they just gave you a chance! But how can you be a good leader? What does it take? Sometimes if you start out fetching the coffee, then that’s all they’re ever going to see you as. The sad truth is that often we need to leave our current organizations to move up to a leadership position. That said, there are lots of fundraising leadership positions you can fill. But how can you show that you’re READY to be a leader? That’s a good question! You could take a management class, get a certificate, get your CFRE, even get an MBA, but you don’t have to go that far. If you feel like your boss doesn’t know how to mentor you for leadership, or you don’t have a mentor for that next crucial stage in your career, you’re not alone. That’s why we’re teaching how to be a better manager and how to be a mentor in this Fundraising Career Conference. 3. You can have a bigger salary – if you ask for it. One of the biggest mistakes I made in my first couple of jobs is not asking for a higher salary in the interview process, or in the course of my employment. But if you ask, you will get more than you have now. You don’t have to just ask for money. 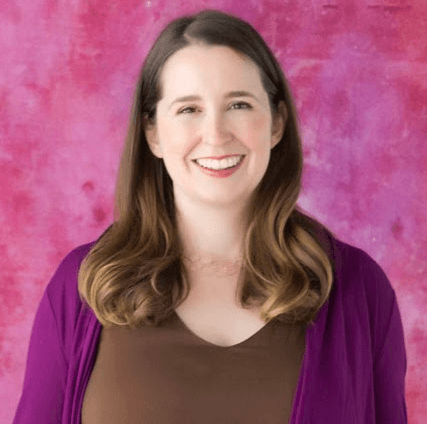 If you don’t know how to ask, read this interview with Meghan Godorov, or come to Meghan Godorov’s session at the Fundraising Career Conference. What if you ask and you don’t get it? Then at least you asked! I assume you’re looking for another job anyway now? Good, because once you ask and they don’t give it to you, they know that you’re not satisfied and will be looking elsewhere. 4. You can rise if – you commit to career pathing & continuous learning. What’s careerpathing? It’s when you look at the jobs you’ve had, the skills and education you’ve had related to those jobs, and then look at the different kinds of fundraising jobs there are, and finally consider which job you want next, and what skills or education you’ll need to build to get there. If you want a free e-book on career pathing, go here. This book was co-written by Phil Gerard, a fundraising recruiter, and me. 5. You have the power – if you know how to ask for what you need. If your fundraising office is under-staffed, under-resourced, and generally in a state of chaos, you’re not alone. A culture of philanthropy can help you get what you need, including help with tasks you’re not good at, help you keep your donors, help you make your board into a fundraising machine, and generally help you feel less alone in your work. One of the things about a Culture of Philanthropy is that if it doesn’t already exist, you’ve got to take responsibility to create it, step by step, person by person. How do you do this? How can you manage up and create the culture you want to see at your nonprofit? Read this interview with Kishshana Palmer, or join us at the Fundraising Career Conference, where she’ll be teaching us about how to manage up in your fundraising job. 6. You are capable of more than you know. You are truly capable of more than you can ever know. Remember when you first started in fundraising and it was all new to you? Then you did your first gala event? You applied for all of those grants in one month? You got that mailing out through sheer grit and lots of paper cuts? You saw your income rise, your donor relationships improve, and you remember, how good it felt to really touch your donor’s hearts, and get to know them? Remember how when it was all new, it was so overwhelming? Remember old you? But if you truly made some career goals for yourself, what would those be? A team to delegate to? A fundraising shop where you would be set up to succeed? Allow yourself to dream-this career can take you places you never thought of!